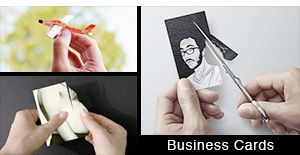 Collection of modern candles and unusual candle designs that will help you set the mood in style. 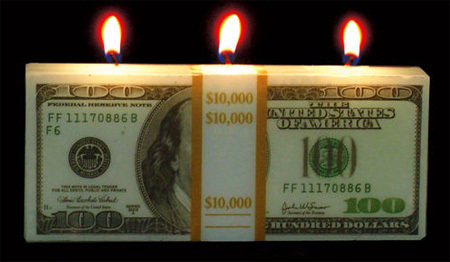 Burning money in this economy would seem a bit absurd, unless you were using a Money to Burn Candle. 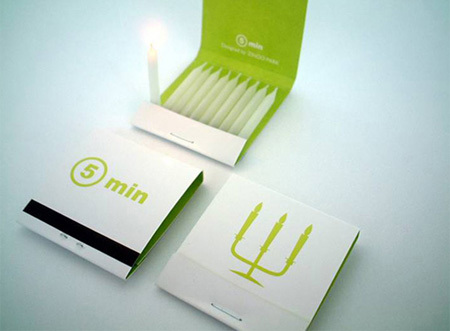 Designed to look like an ordinary book of matches, each package contains 10 small candles. 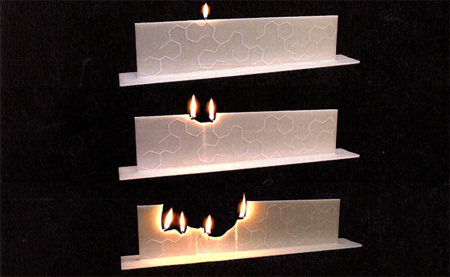 Cool candle with extremely flat design reveals its inner wick structure that defines the path through which the fire will travel. 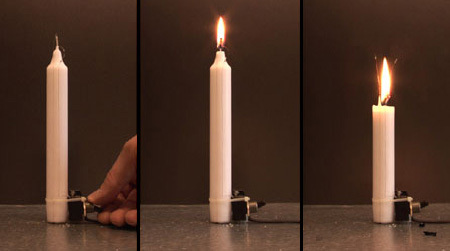 They look like ordinary candles until they are lit. Then, as they melt, they ooze bloody wax down their sides. 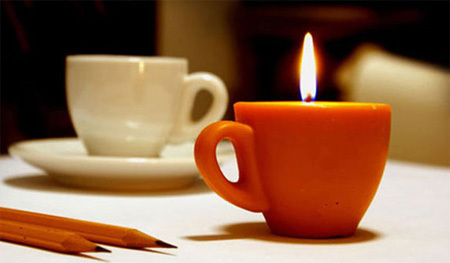 Unique candle design by Denis Belenko looks like a cup of coffee. The festive Red Cinnamon scented 80 Hour candle allows you to set the amount of time it burns before it automatically extinguishes itself. 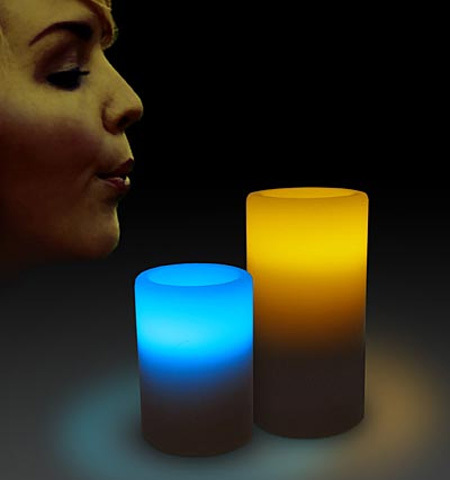 Regular candles will blow out if you blow on the flame, but these LED candles will also blow on. 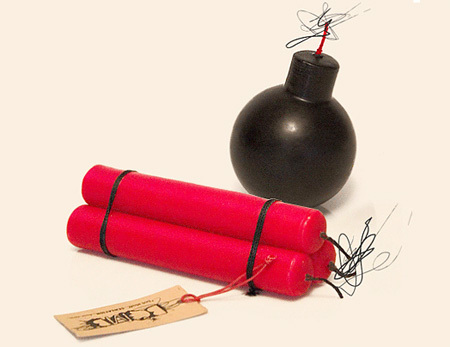 Candles in shape of real bombs and dynamites. Made in Russia. 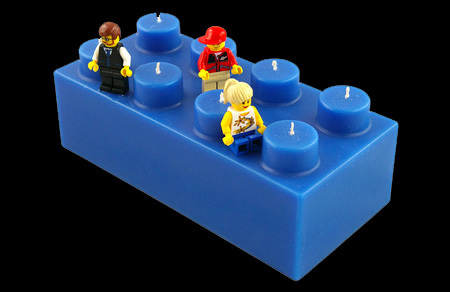 Burn those memories of childhood brightly with LEGO brick candles. Hand-poured in Los Angeles with 100% unscented soy wax. 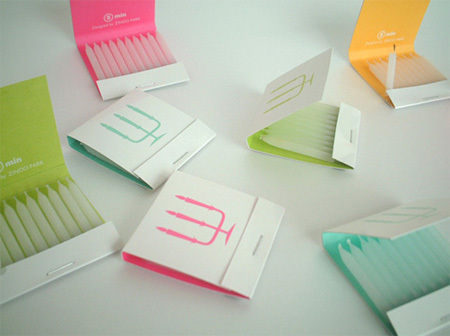 All candles come gift boxed with a chalk pack. I love creative candles! The Lego one is my favourite. 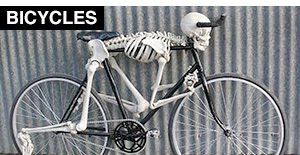 Love the LED one…. 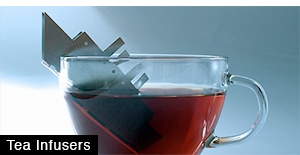 nice to have a set of those on my dinner table…. What brilliant candles, I love them all. 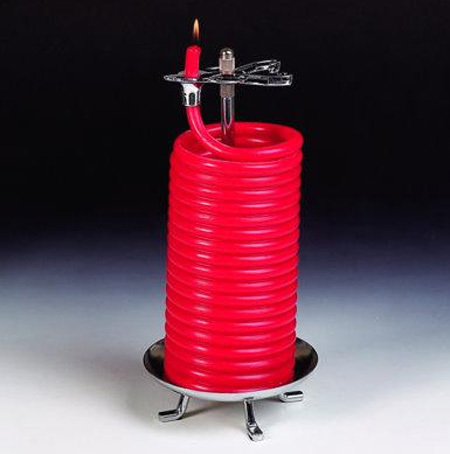 The bleeding candles – perfect for Halloween, Burning money – we all wish we could do that, Explosive candles – what a blast, A coffee with an old flame, building with Lego, A whiff of beer or strike a light match book, but I think my favourites by a Gnats whisker are the LED on-off candles. I like the BRAVIT candle best. Have’nt seen anything like it before! 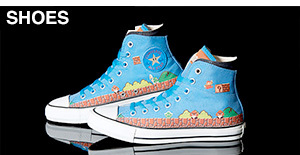 These are some cool designs. I have never seen a Lego Candle. agrees with lano. 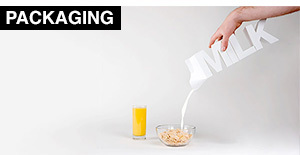 that’s really unique. The BRAVIT candle is amazing. It blew my mind. 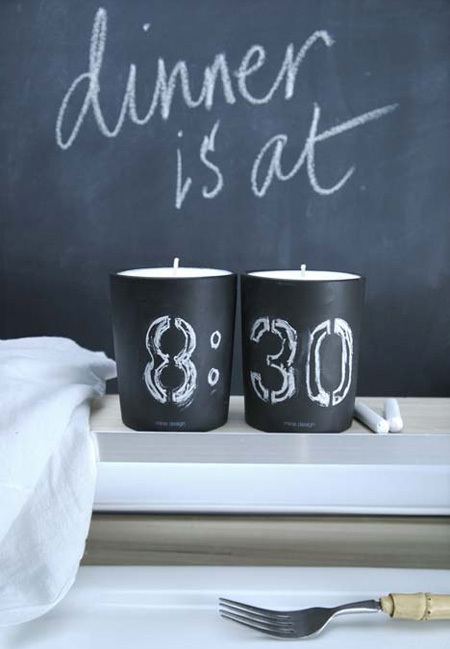 The 80 hour candle is a pretty interesting concept as well. The coffee cup one’s really cute and the 80 hour one’s dead smart! wow, in the LCD or LED (cant remeber) candles, the guy used an air gun/ air bazooka or something to put out the candles :D i have a yellow one, their so fun but annoying :P i love the candles though, like the chalk ones, you could have the coolest candles ever with like cute little drawings on them! 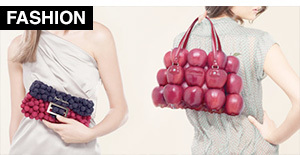 Is that what real bombs look like these days? Im def going to try the wick path candle and a few others with the next batch of candles i make. 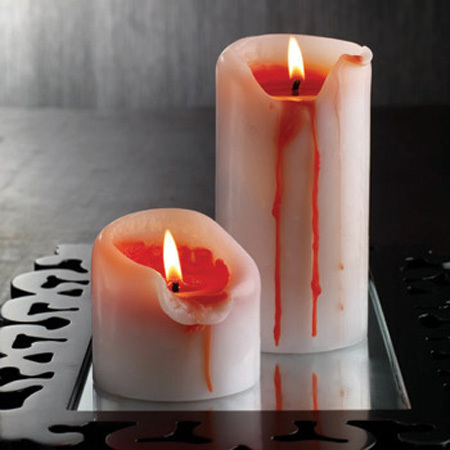 The Bravit and 80-hour candles are really cool, but the bleeding one just looks fake. I love all those candles there so cool. 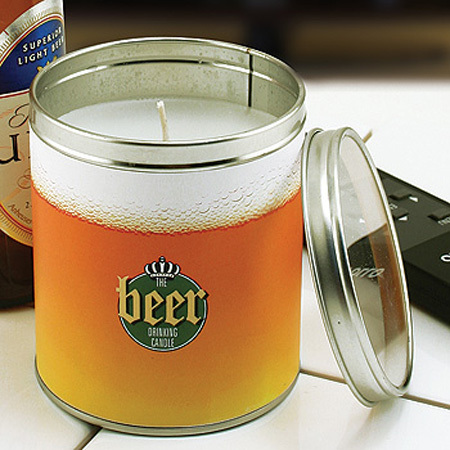 Im trying to find a candle that has the scent of a blown out candle…i love the smell when you blow out your candles! !